"Cinema is a wonderful tool to approach people, cultures, societies, on the condition that it is at the service of the liberty of thinking and acting. I have always used cinema in that sense. To break interdictions and taboos. It is without a doubt this dimension of my work that explains the scandals that my films have oftentimes caused." Always the tinkerer: he started filming with a hand-held camera when he lost his tripod in some rapids on the Niger river, and he developed voice-over narration because synchronized sound was at first unavailable to him. But he was also one to inspire a love of tinkering in others: if he eventually became one of the first filmmakers to use a 16mm camera with sync sound – so crucial for the development of the cinematic new waves – it was because he stimulated engineers André Coutant (Éclair camera) and Stefan Kudelski (Nagra tape recorder) to explore unchartered pathways - as he did with many of his companions and co-workers. When he asked Damouré, a Sorka friend, to help him film a hippopotamus hunt, it set off a collaboration that would last almost four decades: Damouré not only captured the sound for many of Rouch’s films, but he also played one of the central characters in Jaguar (1954 -1967) and its follow-up Petit à petit (1970). Always the improviser, the passionate lover of jazz and surrealism: Rouch was the one who, again according to Godard, provided the affirmative answer to the great question: can art be consonant with chance? He was the one who showed that documentary and fiction, reportage and mise-en-scène, are not at all mutually exclusive, that choosing one always tends to lead to the other. He was the one who dared to challenge us to embrace our uncertainties and serendipities: “The moment you have doubts”, he said, “everything is possible.” Always the go-getter, the paragon of Catalan perseverance that kept him going against all odds, in resistance to all taboos and restrictions, all the way guided by a beautiful old surrealist motto that he ultimately made his own: “Gloire à ceux par qui le scandale arrive”. In the context of the research project “Figures of Dissent (Cinema of Politics, Politics of Cinema)” KASK / School of Arts. 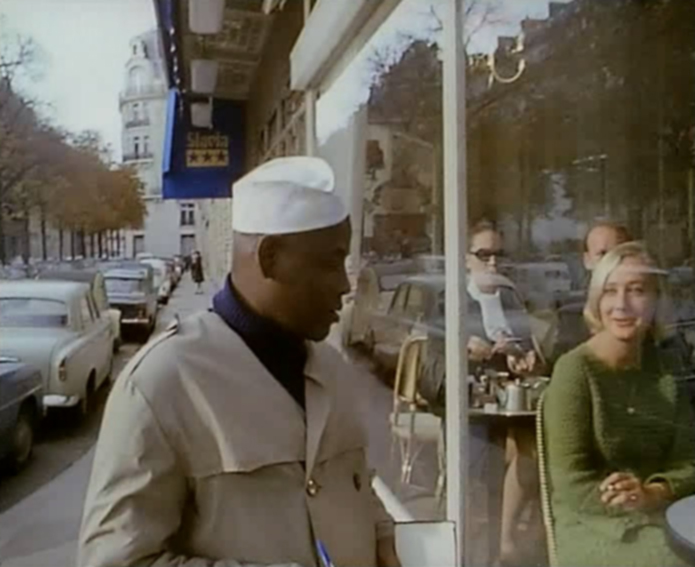 In 1969 had Jean Rouch meer dan twee decennia West-Afrika gedocumenteerd als een etnograaf, en in 1961 had hij Chronique d'un été, een antropologisch onderzoek naar het leven in Parijs, gecoregisseerd. In Petit à petit reizen Damouré Zika en Lam Ibrahim, Nigeriaanse medewerkers van Rouch, naar Parijs en ontpoppen zich tot omgekeerde etnologen van de Franse cultuur. Wanneer we Zika en Ibrahim opnieuw ontmoeten in Ayorou (Niger), is de onderneming 'Petit à petit', die ze hadden opgericht aan het eind van Jaguar, een groot import-export bedrijf geworden. Het nieuws dat een concurrent een hoogbouw in de steigers heeft staan in Niamey doet de directeurs van de onderneming besluiten dat ze hun eigen kantoorgebouw moeten bouwen in Ayorou. Zika vliegt naar Parijs om daar de wolkenkrabbers te bestuderen en architecten om advies te vragen. Zijn missie breidt zich al snel uit naar een volledig en grondig onderzoek van het leven in Frankrijk. De methodes die hij daarbij gebruikt beginnen verdacht veel te lijken op die van de imperialistische Europese antropologie en geven de verwikkelingen een donkere komische lading. Uiteindelijk voegt Ibrahim zich bij Zika in Frankrijk en samen komen ze tot hun eigen versie van het moderne Europese leven. Onderweg ontmoeten ze een Senegalese modeontwerper, een blanke Franse typiste en een zwerver die samen met hen terugkeren naar Niger om te werken voor 'Petit à petit'. Petit à petit is Rouch’ meest scherpe etnofictie en tegelijkertijd een speelse satire op de geschiedenis van de Europees-Afrikaanse relaties.